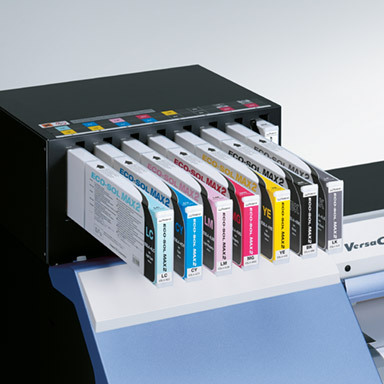 When investing in a wide format printer, don’t pay the high price of settling for less. Roland inkjets empower your business with the productivity and profitability that latex printers just can’t offer. That’s why for over 25 years, more graphic and sign professionals have chosen Roland DG products. GREENGUARD Gold-Certified Roland eco-solvent inks are fast drying, and include light black, metallic and white options for stunning effects that sell for an average of 30% more. Or you can spend 30% more on latex inks not available in light black, metallic or white, and do less. 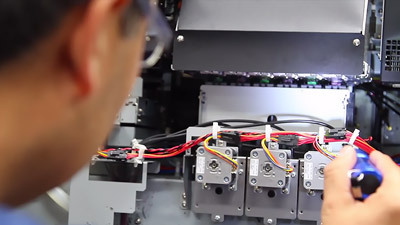 When you build your business on an inkjet printer, efficiency, ease-of-use, and uptime are crucial. Roland quality and reliability plus fast drying OEM inks allow you to go from RIP and print to laminate and install without delay. Pros like V8 Supercar teams and nationwide wrap installers rely on their Rolands to produce thousands of jobs a year at the high pace their businesses demand. Designed for heavy day-to-day industrial operation, Rolands are famously reliable and long-lasting, and come with a 3 or 5 year Extended Warranty to back it up. Roland ECO-SOL MAX inks deliver fast drying and vibrant colours that maintain the matte, satin and glossy finishes of printed materials, providing print quality that is noticeably better than the always-flat colours produced by latex inks. ECO-SOL MAX, paired with media profiles available on the Roland Profile Center, yield a wider colour gamut than latex, allowing you to produce a broader range of colours, including better spot colour matching. Roland's superior variable droplet technology prints in seven different ink droplet sizes, allowing for finer details, smoother gradations and a less "grainy" appearance when printing lighter colours. There is a misconception told by competitors that Roland eco-solvent inks are not as environmentally friendly as their latex counterparts. This is simply not true. In fact, both Roland eco-solvent and latex inks are GREENGUARD Gold Certified for low VOC's and indoor safety. The biggest difference is that latex inks use significantly more heat and power to cure, result in higher room temperatures, and only offer the same GREENGUARD certification that Roland eco-solvent ink offers. Latex inks are also more per sqmtr. and less durable, making the case for Roland eco-solvent ink clear. GREENGUARD Gold Certification includes safety factors to account for sensitive individuals (such as children and the elderly) and ensures that a product is acceptable for use in environments like schools and hospitals. This type of certification is becoming a key factor to a growing number of architects, designers and facility managers seeking to incorporate third-party certified, healthier, more sustainable products into their buildings. "The 5 Year Warranty and the support that I receive from Roland plays a major part in the reasons for my returning." “I have found the EJ-640 exceptionally fast when it comes to printing, without compromising the quality of the final print”. "In the end it was a pretty easy decision for us. 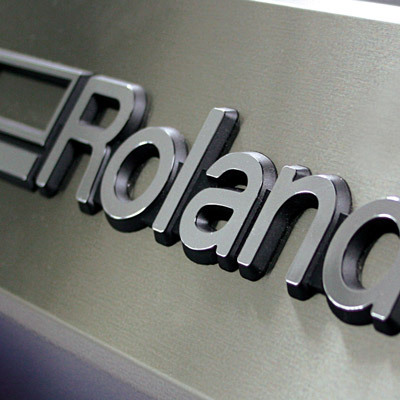 Our first decision was another manufacturer, but after doing more research, we went for the Roland." 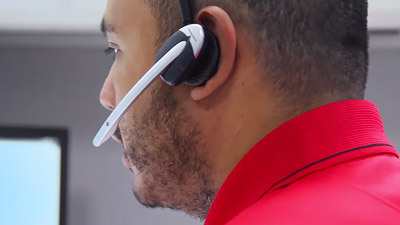 To learn more about the high-value, high-performance line-up of Roland eco-solvent inkjets, visit these product pages, or contact your Authorised Roland reseller.